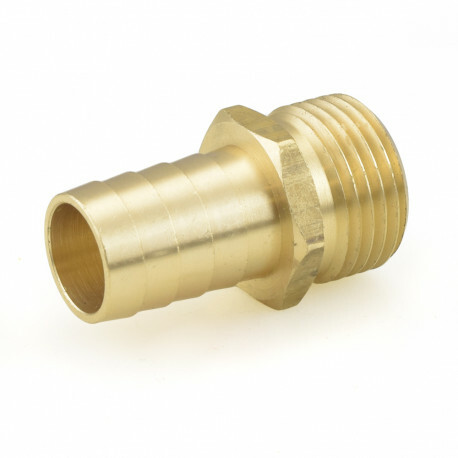 3/4" Male Garden Hose x 3/4" Hose Barb adapter is a fitting which connects 3/4" female garden hose outlet to a 3/4" ID (Inside Diameter) hose. Compatible with cinch (pinch) clamps or worm gear clamps (i.e. Oetiker, Ideal and other brands).